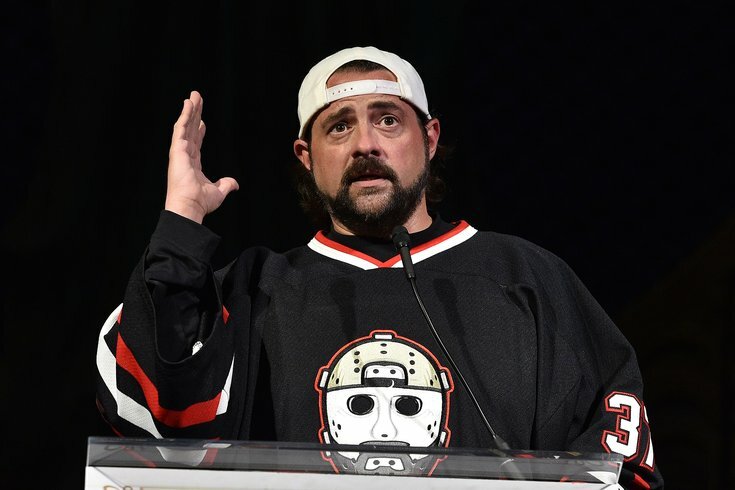 Cult director and New Jersey native Kevin Smith suffered a massive heart attack Sunday night in between comedy sets at California's Alex Theatre, mysteriously falling ill before canceling his second show. The decision likely saved the "Clerks" director's life. He had, as he said in a tweet, 100 percent blockage of his LAD artery. In a session on Facebook Live from Glendale Adventist Hospital, Smith took some time to reassure his fans and explain what happened leading up to the heart attack. "I started feeling nauseous," Smith said. "I felt a little nauseous, and then I tried to lay down on the floor. I was like, 'Hey man, I'll just lay down for a bit.' And when I was laying down on the floor, I wound up getting ill, like threw up, but mostly bile. So I just thought, you know, I got some bad milk. That was it. I was honestly under the impression that I'd gotten some f****** bad milk." Things progressed quickly from there. Smith, 47, said he felt as if couldn't catch his breath and there was heavy pressure in his chest. When paramedics arrived at the scene, Smith initially didn't believe it could possibly be a heart attack. When he overheard someone mention it, he was stunned. Fortunately, Glendale Adventist Hospital is among the best in the United States in cardiology. "I never got scared," Smith said. "At one point, one of the paramedics was like, 'You're being real calm, man. That's great. That's going to help a lot.' And then there was someone else behind him who said, 'That's what's going to save his life.'" Smith went on to share the rest of the medical experience and expressed thanks for those who have reached out to him to show their support. The feeling was a bit surreal, he said. "It was kind of like reading your eulogy," Smith said. "I saw what life kind of will be like when I die. What the reaction would be if I died. And it was very sweet. Like I felt like, 'Aw, right on!' Most days, I'm like, most people must think I'm an a******. Yesterday they didn't."